Synopsis The making of this video involved the recording of a full 12-month cycle of bowling green maintenance work, starting in February 1996, and covers both flat and crown green management. As well as demonstrating the various greenkeeping operations required to produce and maintain a good bowling surface, the video seeks to explain how the underlying condition of an individual green should be assessed, how faults and weaknesses can be pinpointed, and how problems such as poor soil profiles, turf diseases, weeds, unsatisfactory surface levels, etc can be identified and corrected. 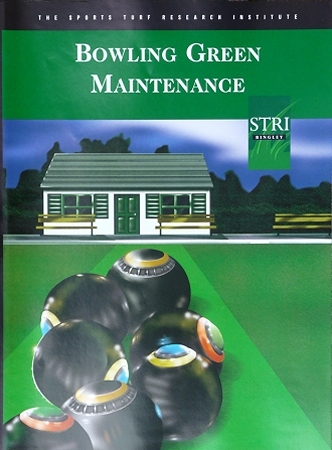 It is the wish of the STRI that the video will be of help to all greenkeepers in the difficult and exacting task of bowling green maintenance, and that it will demonstrate to the average club bowler just how much skilled work is nesessary if an acceptable bowling surface is to be created and preserved. The STRI has informed me that the last copy of this video was sold just before Christmas 2010 and that there are no plans to produce more copies or to convert the footage into DVD format. There is always the possibility that a few copies may find their way on to the second-hand market and a number of sources can be found here.